As far as luxury sedans go, you’ll have to look pretty hard to find anything better than Porsche’s Panamera. If you think driving one of these amazing vehicles is out of your price range, you’d better reconsider. With a Porsche Panamera lease, you can drive the car of your dreams on the roads of Kenner, LA, and beyond. You’ll enjoy a smooth, exciting, comfortable ride, and you’ll have some outstanding features at your fingertips as well. It’s no secret that Porsche vehicles have few peers, but they come with a significant financial commitment as well. This doesn’t mean you should overlook the chance to get into one. With a Porsche Panamera lease, you will pay for the amount the car will depreciate over the next three years, not the current value. You’ll have a lower payment for a lease than you would for a loan; plus, you’ll enjoy a lower interest rate as well. It doesn’t stop there. Most dealers will allow you to make smaller down payments if you wish. Plus, you may even get free oil changes or other maintenances services (or special offers on them) during the lease. One look inside the Panamera, and you’ll see why so many people in Kenner, LA, dream of driving this beauty. It has plenty of room for you and your passengers as well as comfortable seating. With climate control and interior air filtration, everyone in your car should feel good about the temperature. You’ll like the front and rear parking sensors as well as the rearview camera to make it easier to maneuver in and out of tight spaces. The Panamera has electric power steering and a tilt and telescopic leather steering well too. There are different Panamera models you can choose from when you look into a Porsche Panamera lease. The 4S version has a 2.9-liter, 24-valve, DOHC V6 engine. It puts out an eye-opening 405 pound-feet of torque at 1,750 rpm and 440 horsepower at 5,650 rpm. 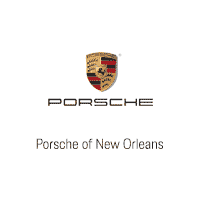 You won’t have to make frequent stops at Kenner, LA, gas stations when you drive the Panamera. It gets 24 combined mpg. That includes 21 mpg in the city as well as 28 mpg when you take the highway. For a memorable drive in Kenner, LA, and everywhere else you go, ask the team at Ray Brandt Porsche about a Porsche Panamera lease.